With the exception of 45 minutes on a flight from Phuket to Singapore when I was so embarrassed by my compatriots I wished I was from anywhere else, I have never wanted to be anything other than Australian. At high school some of my mates were into Boyz II Men and boys who, coincidentally, started spelling their names with numbers. I was so busy with chemistry equations (legitimately combining letters and numbers) that I never longed for life as an American teenagers. The clean living Halloween adventures and Thanksgiving dinners of the girls in the Babysitters Club didn’t entice me to trade in Lourdes Hill College for Stoneybrook High. National Velvet made me aspire to ride at the Olympics, but not for the other team. And yet, over the years, so many of my friends have chucked in their Australian lives for existences abroad. Some moved for love, some for careers, others for adventures. Some for adventures that eventually became love and careers. Some have even ditched their citizenship to wear the badges of their adopted nations. My lovely friend Chantal is one of these expats – currently living in Leeds having moved there for a fabulous career that sometimes sounds so glamorous it makes my toes curl. This Christmas Chantal the wanderer sent a package filled with goodies from far away. Among the treasures was a little cookbook called Favourite Yorkshire Teatime Recipes. This week’s time-worn tucker feature is Yorkshire Oat Cakes. The cookbook suggests these biscuits make a perfect accompaniment to Wensleydale cheese. The closest our family are likely to ever come to Wensleydale cheese is reruns of Rastamouse, so we’ll settle for serving them with cheddar. Rastafarian rodents: oddest premise for a kid’s show ever? Preheat oven to 150C. Combine the oatmeal, slat and bicarb in a bowl. Rub in the butter and add just enough cold water to mix to a firm dough. Knead lightly on a surface dusted with oatmeal until the dough is smooth. Roll out thinly between two pieces of baking paper, and cut into round biscuits with a plain cutter. Place onto a baking tray lined with baking paper and bake for about an hour or until crisp. Transfer to a wire rack to cool. Serve cold with butter and cheese. Preheat oven to 150C. Add the oatmeal, salt and bicarb to the TC bowl. Process speed 4, ten seconds. Add the butter and process speed 4 for a further ten seconds or until evenly mixed. With blades running, remove the MC and gradually pour the cold water into the TC bowl, process until the oatmeal comes together as a ball. From here you can halve the mix and use the knead function (mine found the mix too stiff to knead as one load) or you can turn it out on a bench, form it into a ball and start rolling it out. I’ve always loved oat cakes, but I had no idea they smelled like this when you baked them. Delicious! The other thing I loved about them is how they turned a cheese board into something really special without very much fuss. I wish I’d had this recipe when my girls were little – I would have rolled them a little thicker, cooked them a little longer and substituted these for rusks. These oat cakes are pretty good but Chantal the wanderer can keep her white Christmas. Icy footpaths and I are not destined to be friends. have you ever longed for a life outside of Oz? were you a Boyz II Men fan? what do you think of those infernal Rastamice? 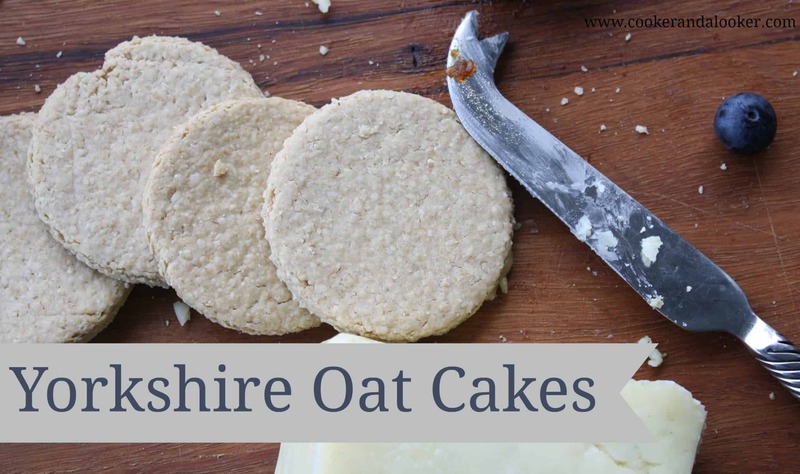 I am not an expat but I like me an oat cake and these look delicious!!! A-ha! Our worlds are colliding. They say its a small world. I bet my people know your people. LOL (We’ll have something to talk about in May.) No, I love Australia the best unless I was offered a small island in the Maldives with a cute cabana boy. I am such a homebody I have decided. There are lots of places I still want to visit, and many I have, but I always look forward to coming home to Oz. There’s no place like home, is there Marine? I spent 7 yrs in the UK.. infact.. I became a british citizen.. I am also an australian citizen as I was born in the UK.. There are so many things I miss about baking in the UK.. love yorkshire oat cakes!! They’re ridiculously simple to make Yvette. Being a Mum, I couldn’t resist making some bunny shaped – they were *almost* bento worthy! Rastamouse is bonkers! It came on here the other day and I just kept expecting Rihanna to pop up. I’ve only ever been to Fiji and the US but Dave and I said if we were going to live anywhere else it would be New York. But only for like 5 years, no longer. Loved that place! I’d love to see NY (and a lot more of the States while I’m at it). Such a big world, so little time! Bring on a lotto win, so we can retire and travel the globe. I might give these a crack. Just been told to get off wheat so I’m madly researching things to put cheese on! Rastamouse is totally odd, and they all sound totally goofed, like good Rastafarians! Oh using them for rusks is a great idea! Too bad we’re passed that as well. The idea is to serve them with cheese Jess, you could use them instead of water crackers. I have itchy travel feet having never been anywhere but New Zealand and I dont know if that counts as travelling around the globe. But having a child young meant I stayed and had my career – now waiting for them all to move out so I can explore the world! PS They look delicious. Love this series! Gidday Amanda! Just letting you know I’m featuring this at tomorrow’s Thriving on Thursdays. They look good! Thanks for linking up! !